Every birthday, I plan a special themed-celebration which reflects the interests of my kiddo for that year. 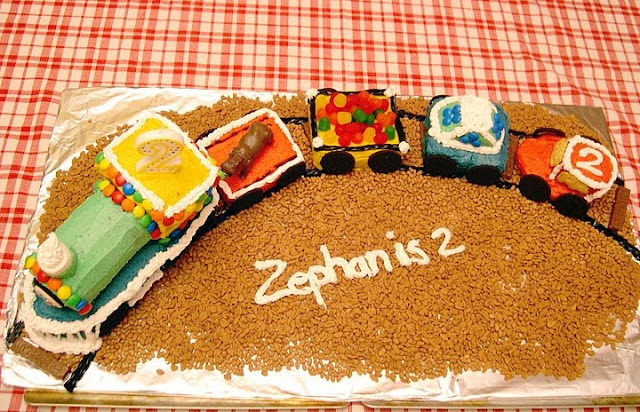 I quickly knew what I would pick for Zephy’s 2nd birthday, but I thought I would give him the opportunity to weigh in on the decision. “Hey Zephy, Mommy wants to know what kind of birthday cake you want for your birthday.” He would say the same thing each time. “Choo–choo-hippo.” Great. How would I pull that one off? 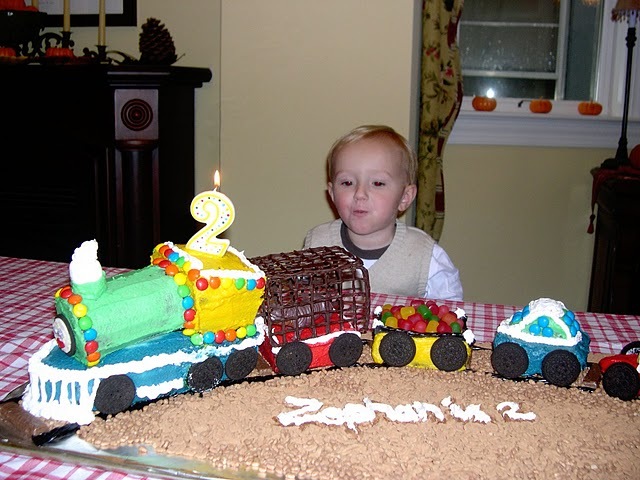 I tried to reason with him and asked if he preferred a choo–choo cake OR a hippo cake, but this was of no use. His mind was made up. “CHOO–CHOO-HIPPO!! 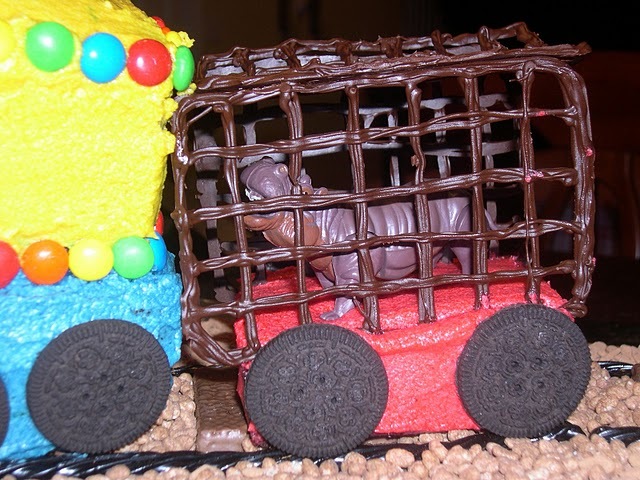 !” So I began brainstorming how I could incorporate his two beloved things…trains and hippos. 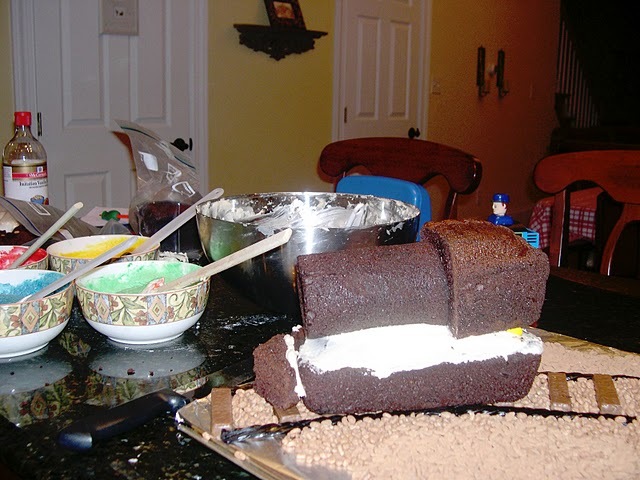 I found a cake on http://www.coolest-birthday-cakes.com/ (a fantastic site that I have referred to frequently over the years) and began strategizing. 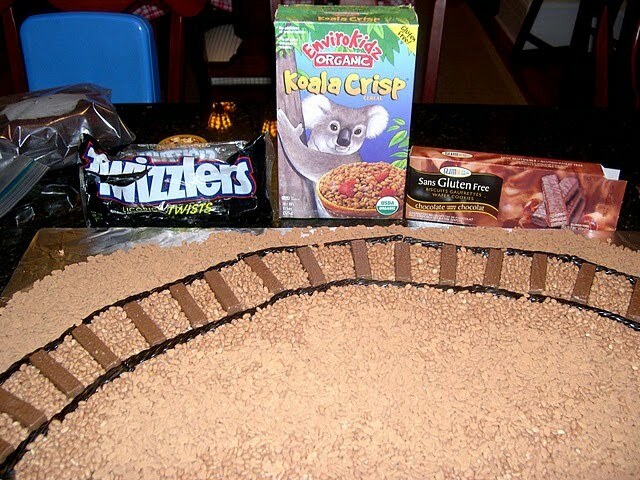 Twizzler tracks, gluten free cookie treads, and Koala Crisp gravel as the base. The front round engine part was made in a tin can. The cage is melted chocolate chips, piped onto waxed paper and frozen until needed for display. With the cake idea in place, I needed to find something special and train-related to do on the big day. Strasburg Railroad is about an hour away and seemed like the best bet, but it is expensive and possesses great potential for sensory overload and meltdowns. After some surfing on the net, I was thrilled to learn that our local science museum (of which we are members) had a “Strasburg Railroad Christmas Train Exhibit” opening on his birthday! Strasburg Railroad was coming to us and it wouldn’t cost us a dime. The morning of his big day, Zephy came downstairs and was greeted by his birthday present set-up on the coffee table. 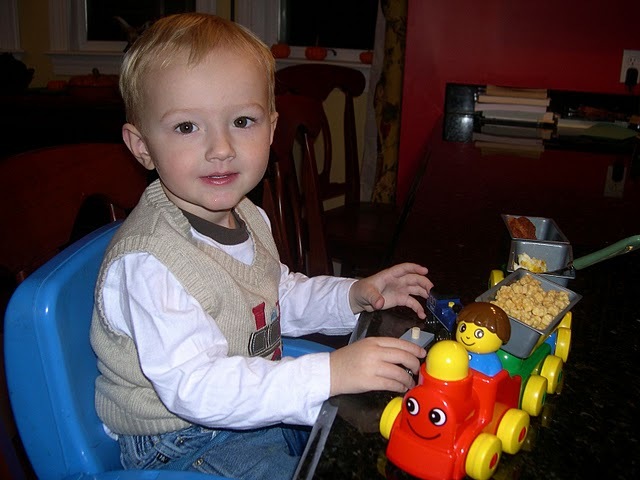 After playing with his new train set, he dined on his train-car-breakfast of cereal, cheesy-eggs, and turkey bacon. Satiated and happy, we then piled in the car and drove the 3 miles to the Whitaker Center to be the first ones at the train exhibit. The boys had a blast looking at toy trains, playing with a “real” train table, and riding a Choo Choo. Two and half hours later, Mommy & Daddy were done. So with the bribe of some much-desired-cake, we managed to leave the museum without anyone falling prostrate, wailing, or gnashing their teeth. It was truly a wonderful and special day. 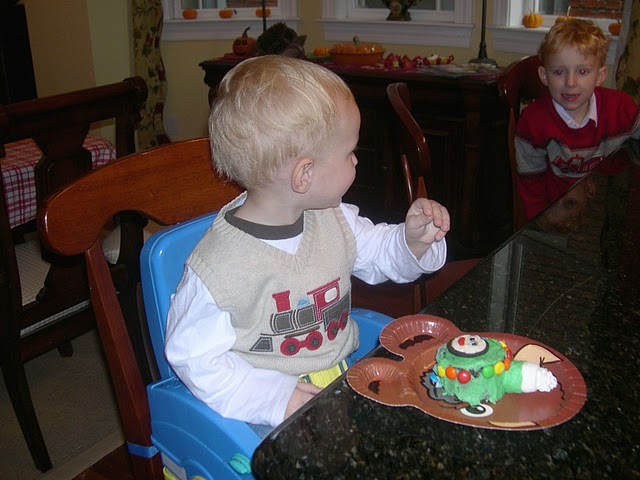 Although I must admit that it’s hard to deal with the fact that my baby is two…and not really a baby any longer. Feeling a bit sad about this, I asked Zephy my favorite question, “Zephy, whose baby are you?” He smiled and hugged me right on cue, “Momma’s baby!” And you always will be, my little love. « Christians turn Right. No Left. I mean Right. Beth…that cake is awesome! Happy birthday Zephan! Happy Birthday Zephan! Beth – that cake is seriously amazing! oh my gosh, zeph is growing up way too quickly. Happy Birthday!! !